» Forum » All Pinside » Bugs » Anyone else seeing this issue on iOS? » Anyone else seeing this issue on iOS? Anyone else seeing this issue on iOS? I think this happened with one of the latest updates - wondering if it’s a setting issue or what’s going on.. the buttons to sort topics don’t fit correctly anymore on the screen and take up a lot more space now. Additionally when I open a topic and click back, I think it used to go back to where I was on the previous page but now it dumps me to the top of the page (looking at all the enlarged sorting buttons) every time, and I have to rescroll back down to where I was on the page. Bump for this. Am I the only one seeing this issue?? What iPhone is this? The screen resolution seems kind of small(?) or possibly you set the font-size larger? Is that still happening? There were some early bugs after the update, which were fixed and I believe this was one of them. Iphone5 se.. I know kinda old but worked fine till the update. 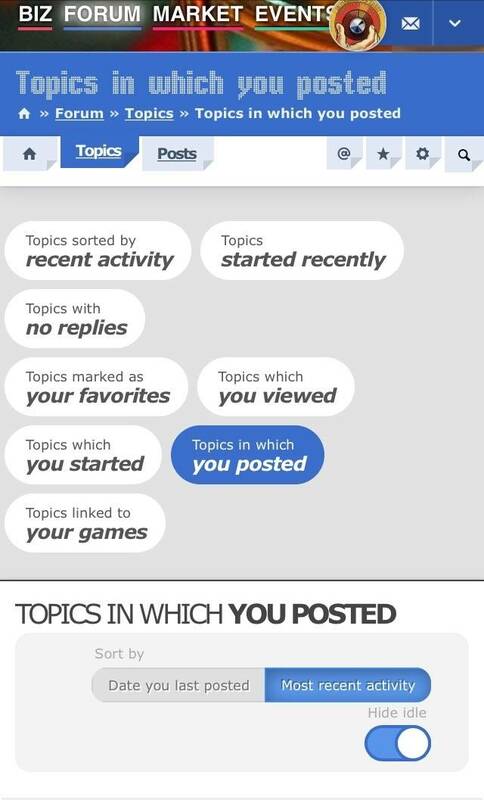 Still having the second issue as well — at least with the “topics you’ve posted in page” which I use often. Always returns to the top of the page rather than back to where I was in the topic list. It works correctly on the main forum page though. Is there a Pinside setting to make the font smaller?